Journals are a personal space for you to communicate privately with your instructor. You can also use a journal as a self-reflective tool to post your opinions, ideas, and concerns about your course, or discuss and analyze course related materials. 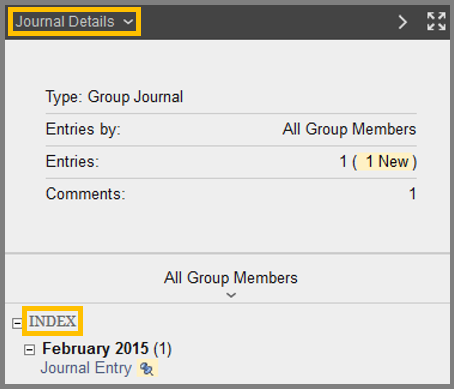 When used in the group area, members of a group can view and comment on each member entries for a group journal. Your instructor can grade group journals and apply the grade to every member of the course group. Click Tools in the Course menu. A. 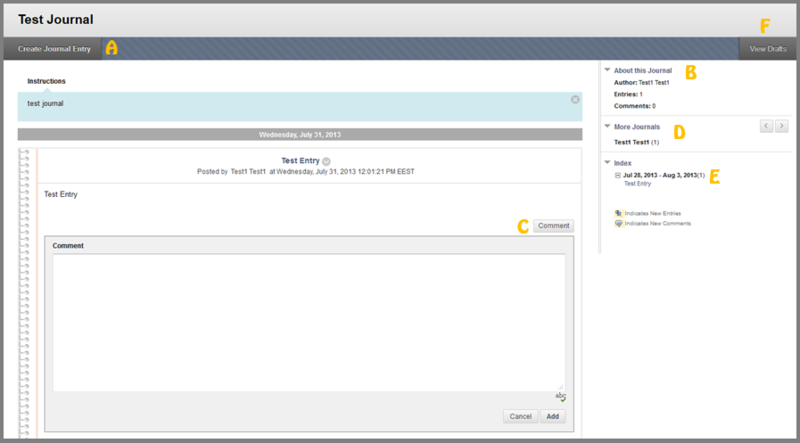 Create Journal Entry – Create a journal entry using the Create journal Entry button. You can create another journal entry for a topic at any time. Give a Title for your entry. Type your message or upload your file and click Post Entry (G) or Save Entry as Draft (H) to save the entry for later posting. B. About this Journal – View information about the specific Journal. C. Comments – You can view comments posted by other users, clicking the link located at the left side of the content frame. You can add comments by clicking the Comment button located at the right side of the content frame. D. More Journals – View journal entries made by other course members. E. Index – View the titles of journal entries. The most recent entry title appears first, but the titles you can view are determined by the settings your instructor has made. 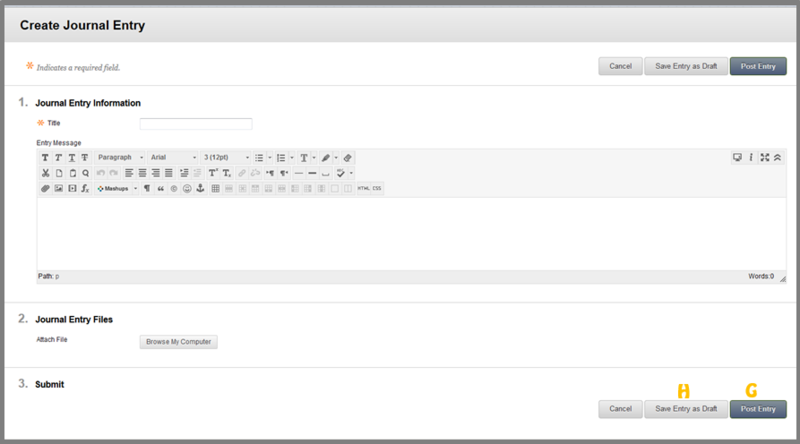 F. View Drafts – Click View Drafts on the action bar to access any entries saved as drafts. The information about the journal can be found on the right page of your screen. Entries by: Who can create entries. Entries: The number of entries in this journal. Comments: The number of comments. Below you can see the Grade of this journal entry and the existing journals. If you want to hide this menu, you can click the arrow button (>) at the top-right. If you want to display the Journal page in fullscreen, simply press the fullscreen button at the top-right of the screen.